Mister Glum begins his search for the missing Jennifer Murphy but is confident that he can find her quickly as she could be anywhere on the planet. Battle Girl believes that he is stalling for time so that he can keep her in Dimension-X for longer than is needed. He tries to convince her that his time ruling Earth was for the benefit of the human race as he made many people fitter as they worked tirelessly in vain to try and reshape the planet to look like his face. As the pair continues their hostile conversation, Jennifer reveals her presence and pummels the alien dictator unconscious before fleeing with her estranged daughter. Dragon stops by his son’s apartment where Maxine greets him as he gets ready to have his first time babysitting the triplets. Maxine announces that Alex Wilde has moved back to Chicago after splitting up with Chris Robinson and recommends he should give her a call. Maxine takes Dragon through to see the kids before she departs to do some shopping at the nearby corner store. Dragon reads the children a story but their playful antics cause the book to be damaged and ultimately get thrown across the room. After spending seventeen years frozen in Dimension-X, Jennifer gets filled in on some of the things that have happened since her capture. She learns how their Earth was destroyed and Battle Girl has since settled down on a new world with Dragon and Malcolm. The whole affair with Mister Glum and Angel Dragon is recounted as the mother and daughter duo search for the transporter that could teleport them back to Earth. As Dragon goes to collect the discarded book, Torment bursts through the wall searching for Malcolm. 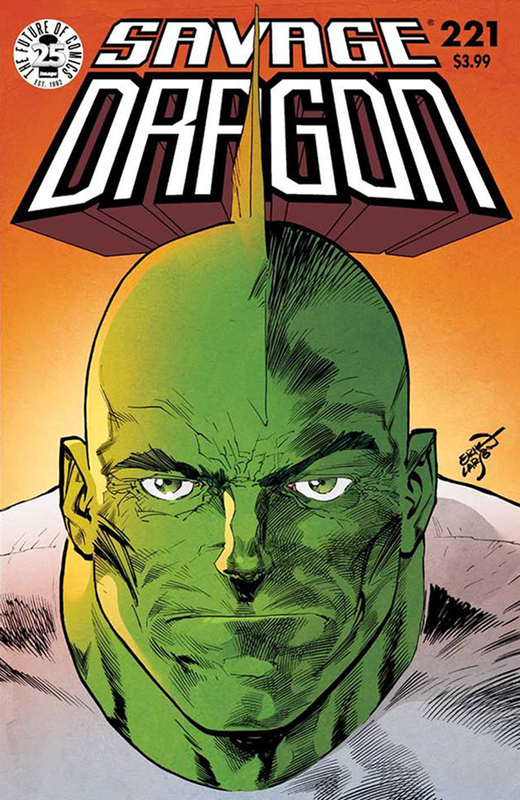 Dragon does his best to fend off the assaults of the vastly more powerful villain and does pretty well despite the gulf in power levels. The kids end up running to their grandfather’s aid and manage to pull Torment from Dragon. This allows Dragon to hurl Torment back through the hole in the wall to the street below where Maxine witnesses the carnage. Jennifer and Battle Girl fight their way through some alien soldiers to get to one of Glum’s facilities where they find the transporter. Jennifer wonders if they should wait for Dragon to come and rescue them but Battle Girl points out that Dragon is now powerless and has been in jail for the past few years anyway. Glum interrupts the duo and threatens to kill them both unless they surrender but Battle Girl points out that if he kills her then he has no chance of ever trying to mentally turn her into his beloved Angel Dragon.